Ram already recalled 1.8 million light and heavy duty trucks for problems with gear shifters, now FCA is recalling even more. 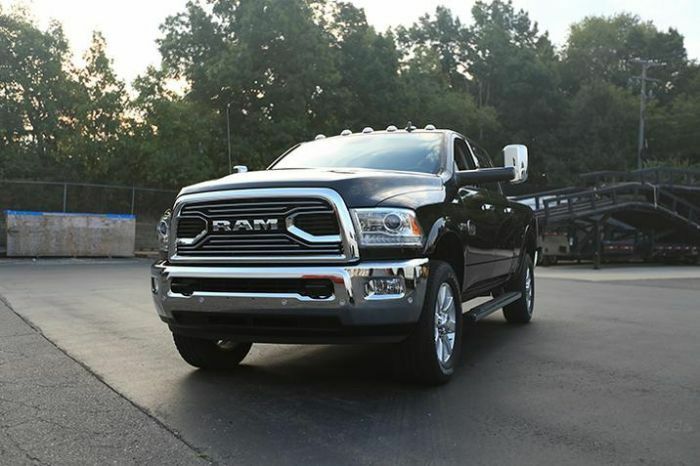 Fiat Chrysler is recalling 228,508 Ram 1500, 2500 and 3500 trucks because they can shift out of park. This recall affects Ram trucks with gear shifts on the column. Ram is having even more trouble with trucks inadvertently shifting out of park. FCA confirms that it is recalling 228,508 more Ram 1500, 2500 and 3500 trucks for problems with gear shifters mounted on the column. An earlier recall of 1.8 million Ram trucks started after seven injuries or accidents were reported. In this latest recall, FCA is not aware of any injuries or accidents related to the gear shift issue. Again, this latest recall involves trucks with the gear shift mounted on the column. Ram discovered the Brake Transmission Shift Interlock (BTSI) may overheat on certain vehicles equipped with steering column gear-shifters. Apparently, the interlock overheats while the truck is idling in park, with the driver’s foot on the brake pedal. If overheating occurs, a vehicle can shift out of park without the driver’s foot on the brake. It can even happen when there isn’t a key in the ignition. Ram is advising that drivers always use their parking brake, to avoid the vehicle moving. Ram is voluntarily recalling an estimated 180,975 trucks in the U.S. to help prevent occupants from inadvertently shifting their vehicles out of “park.” 42,045 of these vehicles are also being recalled in Canada; 4,066 will be called back in Mexico and another 1,422 will be recalled outside of North America. Customers will be notified when they have the parts available to fix the gear shifters. In the interim, FCA US reminds all customers to use their parking brakes. Any owner with questions or concerns may call the FCA US Recall Information Center at (866)-220-6747.